As a higher education institution with a summer pre-college program, do you experience the push and pull of needing a successful summer term to meet your school’s annual revenue goals? While your summer programs for high school students will typically not have marketing funds to rival your undergraduate and graduate programs, it’s still possible to attract this challenging younger demographic and their parents in this competitive space with a reasonable digital marketing budget. In this article, we specify how and when to reach your summer term prospects at the right point in their decision-making journeys throughout the year using the most effective digital marketing tools. In the past, most colleges have operated within a traditional fall and spring semester academic year. Students would unwrap their extra long twin sheets in September and hit the road in overloaded cars in May with visions of summer days ahead. Now, it’s more about the classroom than the beach, as many rising senior and junior high school students (and their parents) want a summer pre-college program at a higher education institution. In turn, universities and colleges all across the country are stepping up to the plate with a plethora of unique high school level and college credit programs and courses for summer students. What’s in it for high school students? Depending on the student, the end goal could be course credit, life experience, personal growth, a sneak peek at the freshman experience, and an amazing opportunity to know a college beyond the brochure. With a summer pre-college session, these students can have a better idea if this school is theplace to make a substantial financial commitment for the next four (or more) years, and if it’s the right spot to plant roots. Parents of these high school students also have individual “goals” for a summer pre-college enrollment, and knowing the parallels between parents and adolescents, the “whys” can still be different while the goal destination is the same. What are the advantages of developing summer term prospects? 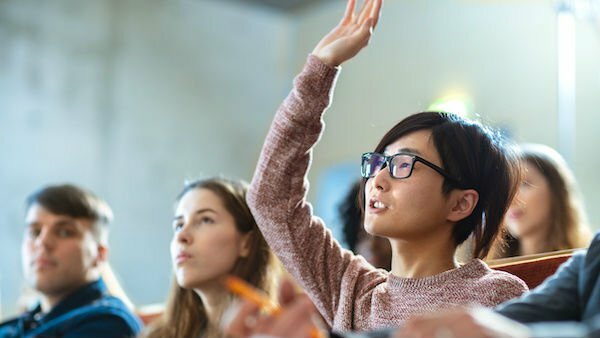 “Certainly, the short answer is awareness and revenue in the short-term and the possibility (long-term) of converting summer term students into undergrads and post grad students in the future,” explains Jeff Mack, VONT Digital Client Strategist. The summer term market is profitable, and every player in this space is clamoring for the biggest slice of this pie as is possible. The competition across many high-quality schools is fierce, the applicant pool is decreasing due to rising costs and falling demographics, and budget pressure is always pushing the throttle. As a means to undergraduate enrollment, the summer pre-college program can be a competitive move to getting prospective students into the funnel early. The discrepancy in budget and audience size limits reach and means that schools must be very selective on how they attempt to reach the audiences for maximum ROI. In other words, successfully reaching one of the trickiest demographics out there on a tight budget is not for the faint of heart. That said, it is possible with the right digital marketing plan. That begins with a deeper dive into demographic metrics. Reaching 16-18-year-old students (and their parents) begins with knowing where to find them online. At the most top-line level, you are aiming to reach prospective students (teenagers that are most likely rising high school senior students, but also could include academically-sound junior students) and their parents that may or may not already have an existing awareness of what a summer pre-college program is. The goal here is to first make them aware of your program, then to successfully get them to apply to your program, and finally convince them to enroll into this program if and when you accept them. 8 million out of 10.2 million respondents (86%) rely most on digital for choosing their higher education path according to Unpacking the Student Decision Journey in Higher Education, a Google Ipsos Research report in February 2017. The other resources were much further down the list: Admissions counselor (42%), Students/professors/alumni (33%), Friends/family (31%), Radio/Print/Billboard (18%), and TV (13%). 90% of college-bound seniors reported having regular access to a mobile device – up 12% from 2013. 71% reported having viewed a college site on their mobile. 45% of them looked at a college site on it. 59% of college-bound seniors reported they were more likely to consider schools that use email, text messages or social media to communicate with them according to “The Online Preferences of College-Bound High School Seniors and Their Parents,” Noel-Levitz’ e-Expectations Report. That number is up from 49% in 2013 and will keep growing. Less can be more. Especially when it comes to screen size. According to the e-Expectations Report, 51% of seniors wanted college webpages to adapt to their mobile screens. To best reach these digitally savvy prospective students and parents, you first need to consider that these people may discover you and consider you solely through a mobile device. Since conversion rates are typically lower on a mobile device than on a desktop (physical constraints of mobile devices, different usage patterns of mobile users), you need to optimize your site to be mobile friendly. However, there is a misconception in the industry with becoming “mobile friendly.” It’s not simply scaling down your desktop site to be a miniaturized version of the same thing. Screen size is the tip of the iceberg. Instead, you need to think about the purpose and conversion goals of your mobile site to attract prospective students/parents to your summer pre-college program. This means including the most relevant information front and center, clear call to actions (CTAs) and pairing your site to align with your target audience in their funnel process. For example, more and more users are requesting text messages as a preferred method of contact. including “chat” functionality onto your mobile site is another way to ensure that all your user-preferred communication options are available. Once you know who your audience is and which channels to use to reach them, it’s time to develop a realistic summer term digital marketing budget. The digital marketing enrollment goal number comes from your school. Expected cost per digital marketing click / Expected landing page lead conversion rate / Expected yield rate per lead. Additionally, as we are about to get into the specifics of your master summer term prospecting plan, think about what should be two of your digital marketing strategy’s most important goals: SEO and CRO (search engine optimization and conversion rate optimization). Reaching summer pre-college prospects should not be thought of as single campaign with a fixed budget. To maximize its effectiveness, the lead generation and lead nurturing process should adapt to the different stages of your prospect’s journey that begins at awareness and ends successfully with an enrollment. An example “blueprint” of stages, goals, and resources is outlined below to help your school leverage this for a personalized plan. Landing pages: Simply, these are the pages you can connect with your prospect and convert them to a lead. As a general rule, highly optimized landing pages for paid campaigns convert better than normal site pages, and typically generate more leads. These pages need to have great content, relevant information, and solid CTAs above the fold. You must make sure all you most important landing pages are optimized for mobile as well as desktop devices and have thank you pages. Thank you pages: Beyond the use of a destination page for a goal completion in Google Analytics, a “thank you page” presents you with an opportunity to optimize for a second conversion action. You can introduce another conversion action (like application help via chat) to encourage additional interaction between you and the prospect. More interaction means additional opportunities to turn inquiries into applicants and convert applicants into committed students. Website optimization: Once your site is optimized for desktop and mobile, it’s time to build the digital breadcrumb path so that prospects can find your summer program. Keywords: There really isn’t anything more important to your end goal (transforming prospects into students) than keywords. You need to thoroughly research the phrases that not only will help prospects find you, but will also put you ahead of your competition. Go broad: Consider terms like “summer programs for high school students,” “summer pre-college programs for high school students,” “summer term programs for high school students,” and “pre-college programs for high school students” that capture your overall industry. Go narrow: Net it down further to what is specific to Courses like psychology, pre-med, and STEM research are pretty hot right now, but you’ll want to capitalize on your unique programs that make you the best choice for students and parents. SEO (Search Engine Optimization): This is essential to appear higher up on a Search Engine Results Page (SERP). Craft meta descriptions and titles that reflect the topic of the page and inspire the searcher to click on the result. Make sure you have supporting on-page SEO factors like keyword-optimized headlines and relevant, rich, contextual content. CRO (Conversion Rate Optimization): With specific desired actions in mind (i.e. newsletter sign up, information request, application download, application submission, official enrollment), make it easy for your user to complete the action with effective elements such as headlines, copy, form (and form location), graphics, page layout, and compelling CTAs. Google in-market targeting: Google knows when your prospects are looking for “summer pre-college programs” and closely related search terms and allows you to get in front of them at the right place and time. Google PPC: Google Ads is split into two networks: the Search Network and the Display Network. When advertising on the Search Network, you place text ads in the search engine results. On the Display Network, you instead rely on an eye-catching banner or “responsive ad” to grab the prospect’s attention. Google remarketing: Google can enable sites to show targeted ads to users who have already visited your site, dually reminding them about you and possibly bringing them back for a conversion. Other Paid search: Can help you reach prospective students who are searching for educational programs in Bing, Yahoo or international search engines that offer paid ads. Facebook Live/ webinar: Great for offering up that “one-on-one” vibe for recruiters (without the massive cost to do face-to-face recruiting), this live video streaming is a fun, engaging way to connect with your prospects on many different topics in all phases of the funnel! Be sure to promote it in advance. Promoted posts: Choosing your target audience and your budget, you can place ads at critical times of the user process. Demo targeting: With audience selection tools, you can target the prospects that need to know about your summer pre-college program. Email: This is a proven and effective way to reach your audience and drive conversions to your site. Use it to remind the prospect of upcoming events and deadlines. Build a relationship. Chat: if you have capacity, this is a great way to let them contact you on a more personal level, so promote this functionality as they continue to move through the funnel. CRM lead nurturing tools: If you need help keeping track of lead gen throughout the funnel, look to CRM software that can help you manage this important undertaking. Testimonials: The best way to share the coolest parts about your summer pre-college program and the city/town you are in? Highlight some experiences from your past summer students! Aligning Conversion Goals with Your Pre-College Prospect Funnel: Your website is ready for the new summer term, you have a solid understanding of the digital tools at your fingertips, and now it’s time to enter the funnel and develop a relationship with your summer student prospects. Your strategy should be aligned with every step of the prospect journey, and here are some ideas to get you started. The prospects are on your radar and now it’s time for you to get on theirs. Your goal here is to make them consider applying to your summer pre-college program. Likely mindset of the prospects: What is it? Why do it? Is this even for me? Ask that the prospects complete a quick contact form to receive a program brochure and/or other asset to build your database of opted-in leads. What is happening: This is when the prospects have become aware that you have a summer pre-college program, but now they have to narrow down their short list of schools to apply to. Likely mindset of the prospects: A summer pre-college program sounds pretty good, but why your school? What makes it different and better than what is out there? Similar to the awareness stage, your goal will also still be to encourage prospects to request additional information and become a lead. It’s now time for the action. Applications and decisions are on the table, and there are two unique stages to consider. What is happening: This is when high school student prospects decide to apply to your summer pre-college program. Likely mindset of the prospects: I have a handful of schools that seem good, and might as well apply to all of them. I may have a favorite, or I could be fairly open to any of them. I’m still on the fence about what I’ll do next. Make sure the prospects get the info they need to apply. Encourage them to submit an application. Continue to encourage prospects to request additional information about financial aid or scholarships if they still need it (and you offer it). Facebook Live: What better way to help prospects apply than to hold a Live streaming event to answer any and all of their application questions? Google Remarketing Tools: Don’t let them forget to complete an application. Lead Nurturing: It’s time to push the application process! Send personalized checklists, remind them about application deadlines, and offer up your contacts (chat, phone calls) for any last-minute questions or concerns before the submit button is finally clicked. Email: Offer up next steps of staying in touch (i.e. another Live event, local happenings around your town/city to check out) to keep them connected and emotionally invested in the interim while the decision is being made. Direct Mail: As a thank you to submitting the application, send them some cool shwag with your school logo. Build a relationship. Don’t lose them now! What is happening: This is when the prospects have been accepted into your summer pre-college program. Likely mindset of the prospects: I’ve been accepted to a few great schools. Where do I go? Push the prospects to become students with an official acceptance and the enrollment fee submission. Facebook Live / webinar: Let’s congratulate the accepted students in an exciting event (bring on some former students and consider discussing some special events coming up this summer) to help them make up their minds to sign on the dotted line. Lead Nurturing: Send personalized congratulations and next steps. It’s time to make them really excited and driven to “officially” enroll. Email: As a thank you to enrolling, reaffirm and validate their decision to be a part of your summer program with follow-up information, an official calendar (including special events). This is a personalized way to stay in touch and answer any questions before they arrive on campus! And if there is a hashtag for accepted students, encourage them to use it across their social media. Not only will they be proud to use it for their own accomplishments, it can already start building your awareness for next year. Your summer pre-college program is a great opportunity for all involved. Not only will your prospects gain valuable experience into the college world, it may convince these young students that this is the place they want to return to for their undergrad degrees. And of course, this may lead to graduate degrees, and loyal life-long alumni. These are all potentially huge wins in an increasingly competitive higher ed market. In addition, your institution can repurpose and apply many of the budget-friendly tactics from this program to boost the overall effectiveness of your entire enrollment funnel. As illustrated in this article, your digital toolbox and your budget will ebb and flow as your prospects move through your thoughtfully crafted lead funnel. From awareness to consideration to early and late decision stages, if you create a tailored solution with targeted messaging and aligned calls to action — match your tools and strategy to your prospects in the funnel — you’ll be welcoming more students to your school this summer.